It’s been a frustrating time for Coach Dale McCulloch with eight first team players unavailable, but the club have unearthed some of their junior players in that time. Team manager Craig Stephenson believes the youngsters have been a shining light for the club. “Although results have not gone our way in the last few weeks, the boys have been toiling away hard and last week’s game against Cockburn displayed a great deal of character and we were severely disappointed we didn’t take something from the game,” he said. Stephenson knows Inglewood is improving and believes it will be a good game. “We are looking forward to this week’s visit of Inglewood who have been in some good form of late and will be looking to bring that form here today,” he said. “The lads are looking forward to challenge Inglewood presents this week. Inglewood is a team that has recruited well over the summer and has starting to put some results on the board. We firmly believe that if we show the same intensity and energy levels of last week we can come away with the result this week and lads have shown in training that they are ready to do this.” ECU welcome back Josh Tucker from injury, but will be without Paul Miller. Garcia is under no illusions Saturday’s opponents ECU, will be desperate for a win, and is expecting another tight game. “Any team on any given day can beat anyone so we will prepare and approach the game with the same mind-set we’re trying to enter into every game with,” he said. 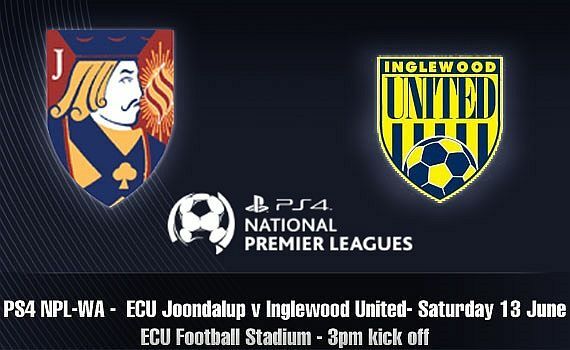 “We know ECU have quality players and are a proud club, so regardless of who’s out and where they’re at on the table, they will be a tough opponent and we will need to be at our best to get anything out of it.” Inglewood has a settled squad, but will be missing the suspended Milan Ogjenovic.